Dr. Tariq is a Physical Medicine, Rehabilitation, Electrodiagnostic Medicine, Regenerative Medicine, and Sports Medicine specialist. Originally from Naperville, IL, he earned his undergraduate degree with honors in Biology, Business Management, and Anthropology at the State University of New York at Stony Brook and obtained his medical degree at Lake Erie College of Osteopathic Medicine. 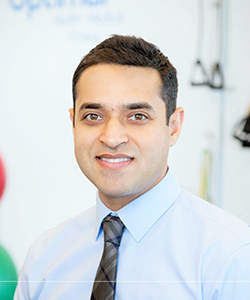 Upon graduating from medical school, Dr. Tariq joined the Department of Internal Medicine at Mount Sinai Hospital Chicago as an intern and went on to complete a three-year residency in Physical Medicine and Rehabilitation at Marianjoy Rehabilitation Hospital in Wheaton, IL. Dr. Tariq was awarded the Resident of the Year honors by his residency program. He then went on to the University of Wisconsin-Madison and completed six months of additional training in Pain and Musculoskeletal Medicine. Dr. Tariq has volunteered at various races, high school team sports and events including the Chicago Marathon for the past four years. As a Doctor of Osteopathic Medicine and a sports medicine physician, Dr. Tariq treats non-operative musculoskeletal injuries and pain conditions through the use of a wide variety of modalities including prolotherapy, Platelet Rich Plasma (PRP), osteopathic manipulation, ultrasound guided injections, X-ray guided injections, physical therapy, and medications. Dr. Tariq is also the founder of the Illinois Institute of Regenerative Medicine, dedicated to providing the most advanced non-surgical orthopedic treatments. Dr. Tariq enjoys spending time with his wife, relatives in Naperville, traveling, and photography. EDS (Joint Hypermobility Syndrome), Neuropathy, Carpal Tunnel Syndrome, tennis elbow, golfers elbow, SI joint pain, Coccyx pain, CRPS (Complex Regional Pain Syndrome), UCL tear, chronic knee pain, chronic shoulder pain, Fibromyalgia, chronic headaches, thoracic outlet syndrome, plantar fasciitis, Osgood Schlatter’s disease, etc. Jake joined Optimal team in October of 2015 to fuel his desire to help others. He has a drive to improve the quality of life in each individual and help them to reach their full potential… not only in fitness, but in life! He strongly believes that difficulties in activities of daily living are closely correlated to lack of functional fitness. 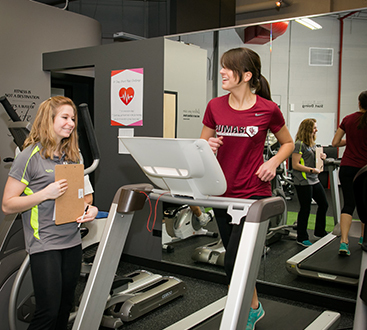 He has a Bachelor’s of Science in Fitness and Health Promotion from Aurora University. As a personal fitness trainer, Jake has worked with a vide variety of clients looking to improve balance and stability. There is nothing more satisfying to Jake than assisting his clients to reach milestones in fitness, life, or competition that they may have never thought that they could achieve. Jenny joined the Optimal team in April of 2016 to pursue her passion in helping individuals achieve their fitness and wellness goals. 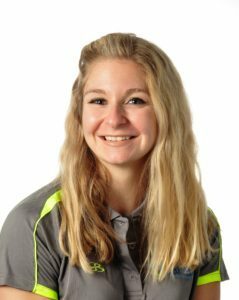 She has a Bachelor’s of Science in Fitness and Health Promotion from Aurora University, which provides her with the knowledge and expertise to take any client through any workout and provide them with the results they are looking for. 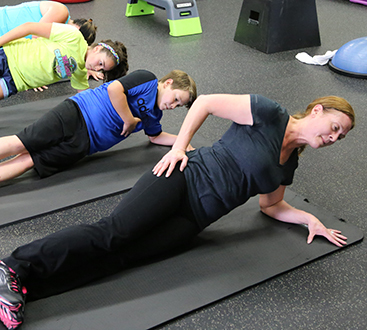 As a personal trainer, Jenny has worked with a diverse population comprised of kids as young as three to the senior population, all having different goals in mind such as weight loss, flexibility, endurance, strength, toning, and agility. Jenny has six years of coaching experience that she uses to create effective programs/results and lasting relationships.